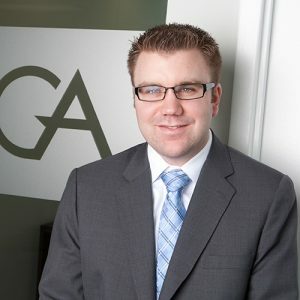 Peter Landers is a Partner at Global Governance Advisors. He supports boards and senior management with technical insight in the areas of Executive Compensation, Human Resource Strategy and Corporate Governance. Peter’s work focuses on forward looking governance practices and risk management as well as provides education to key stakeholders on complex compensation systems. Peter specializes in the strategic evaluation of compensation and corporate governance programs including business strategy, compensation philosophy and executive pay alignment, incentive design and valuation, compensation risk audits, and board education, which support clients’ organizational strategy and objectives, as well as shareholders’ interests. He possesses strong analytical and research skills and widespread knowledge in general practises of compensation governance and methodology. Given his vast experience, Peter has also been asked to share his insights in the media. Peter was previously a Consultant in Hay Group’s Executive Compensation practice, focused on advising clients nationally across a broad spectrum of industries. His work is specialized in strategic compensation review and design, incentive performance calibration, board compensation and governance. Peter has consulted on executive and director compensation issues for both public and private corporations in a range of industries including mining, financial services and pension funds. He is knowledgeable about compensation benchmarking, performance measurement and analysis, and corporate governance. Peter has specific experience in conducting both quantitative and qualitative analyses in areas of short and long-term incentive plan design, financial modeling, peer group establishment, pay-for-performance, executive and director compensation, and risk tendencies. Peter holds an Honours Bachelor of Business Administration degree, from the Schulich School of Business at York University, where he specialized in both Finance and Accounting, and graduated with distinction.